This privacy statement describes how N & M Enterprises, Inc. (owner of PlasticPlace.com), collects and uses the personal information you provide on our website: www.plasticplace.com. It also describes the choices available to you regarding our use of your personal information and how you can access and update this information. As is common on other websites, log files are stored on our web server saving details such as your IP address, browser type, referring page and time of visit. Cookies may be used to remember your preferences when interacting with our website. If you register with us, we will collect and store your personal information on our secure server. 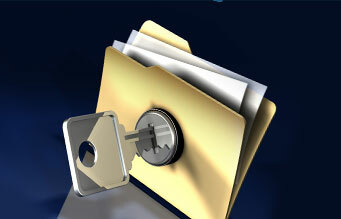 Our site is secured with 256-bit encryption (this means your data is encrypted and cannot be understood without a key. 256-bit refers to the size of the key:i.e., 256 bits in length, which is hard to crack because of it's length). If you have any concerns with how we handle or mishandled your personal information please email us at info@plasticplace.com. The information you share is used to enhance your shopping experience when browsing PlasticPlace.com to display personalised content and possibly advertising. Your e-mail address will not be sold, rented or leased to 3rd parties. Your e-mail may be used to inform you of news of our services or offers by us or our affiliates. If you have subscribed to one of our services, you may unsubscribe at any time by clicking the unsubscribe link in any of the emails that you receive.